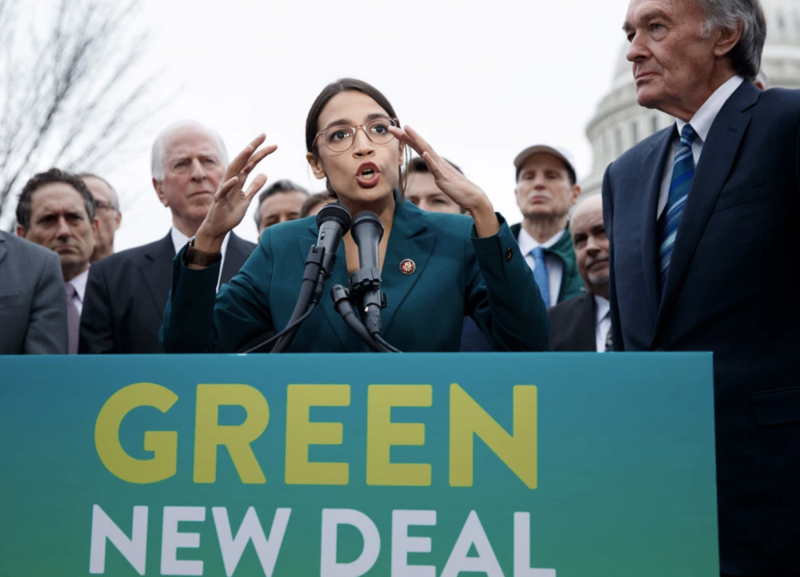 On Thursday, Rep. Alexandria Ocasio-Cortez (D-NY) released plans for a climate change resolution, outlining legislation intended to help the United States reduce its carbon emission. Since the start of Ocasio-Cortez’s congressional campaign, the representative has made climate change a part of her progressive platform. During the freshman congresswoman’s first day on Capitol Hill last November, she engaged in a sit-in in front of Speaker of House Nancy Pelosi (D-CA) with youth climate advocates, demanding the Speaker to prioritize climate change as Democrats retake the House. The select committee on climate change will not prioritize the freshman congresswoman’s agenda. Speaker Pelosi downplayed Ocasio-Cortez’s agenda, noting that, “it will be one of several or maybe many suggestions that we receive.” Despite the objections from the Speaker, the resolution has already gained the support of many 2020 Democratic hopefuls, including Senators Kamala Harris (D-CA), Cory Booker (D-NJ), and Bernie Sanders (I-VT). Even with the overwhelming support from climate change activists, the resolution faces an uphill battle, as it faces opposition from its own party and the Republicans. In the Senate, Senator Joe Manchin (D-WV) is expected to be one of the greatest sources of opposition to the bill. Manchin has been known to receive large campaign donations from energy companies and is vocal about his support for the coal industry. Manchin has been selected as the new ranking chairman in the Energy Committee and is expected to be an obstacle that progressive leaders will have to overcome in order to pass sweeping climate change legislation.